DL06 CPU, 20 AC in / 16 Relay out, requires external 110-220 VAC power, includes 300mA 24VDC auxiliary device power supply. 14.8k words total (7679 words ladder - flash, 7488 words V-memory), RLL/RLLPLUS programming (DirectSOFT32 Version 4.0 or higher), two built-in RS-232C communication ports. Secondary communications port supports RS-232C/RS-422/RS-485, DirectNET Master/Slave, MODBUS RTU, Master/Slave, and ASCII In/Out. 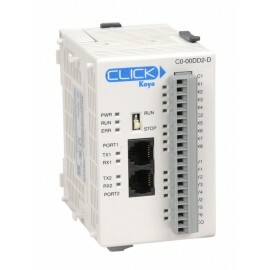 Inputs: 20 AC inputs, 90-120 VAC, 5 isolated commons (4 inputs per common). 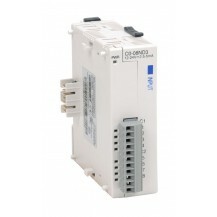 Outputs: 16 relay outputs, 6-27 VDC, 6-240 VAC, 2A/point max., 4 isolated commons (4 points per common). 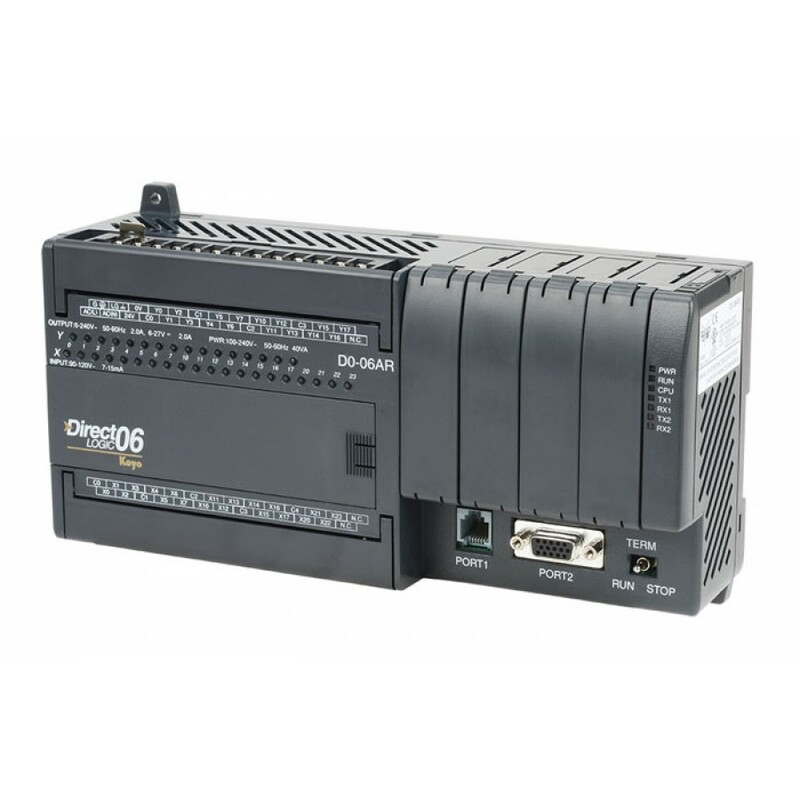 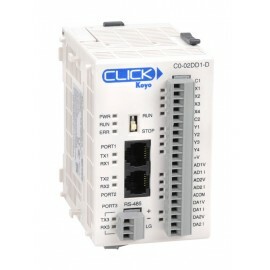 Four option slots available for I/O or communication modules.